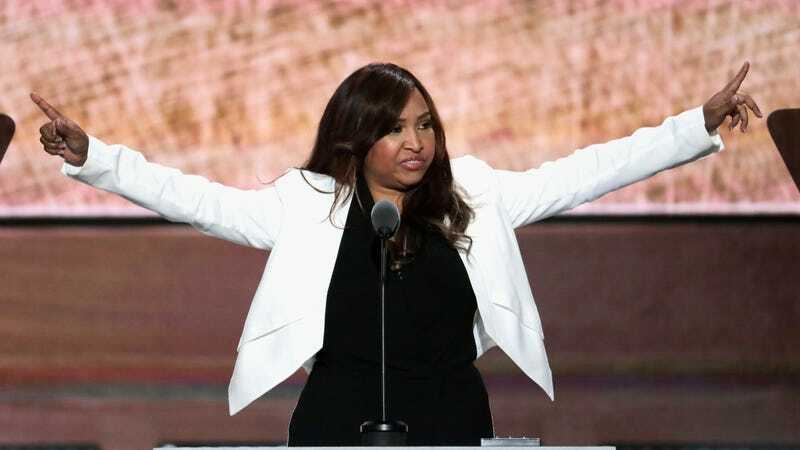 Eric Trump’s wedding planner and former Vice President of the Eric Trump Foundation Lynne Patton has been appointed to run the region of the Department of Housing and Urban Development (HUD) which covers New York and New Jersey, the New York Daily News reports. She has no experience in urban planning. She planned Eric Trump’s wedding. She was the Trump Organization event organizer of “upscale events and celebrity golf tournaments,” PR, and fundraising. She was an advisor to the Trump campaign. Her only “featured skills” are event planning, public relations, fundraising, philanthropy, and promotions. Her LinkedIn lists a juris doctor degree from the Quinnipiac University School of Law, which tells the New York Daily News that she only attended for two semesters–which she claims to have qualified by putting an “N/A” next to it. Her immediate predecessor ran the nonprofit New Yorkers for Parks; another was Bill de Blasio. As Patton’s predecessor Holly Leicht has explained, HUD is “the meat and potatoes of keeping a city going.” Through Patton’s role at the federal level, she will be in charge of administering funds to absolutely vital city services like the New York City Housing Authority (NYCHA), a crumbling labyrinth of federal/city/public/private actors which is so complicated that it takes a great deal of experience to fully understand how it works. NYCHA, by far the largest provider of low-income housing and rental subsidies in New York City, relies almost entirely on federal funding. NYCHA, which has already been underfunded for years, needs $17 billion in upgrades. In March, NYCHA officials told the Wall Street Journal that HUD officials had warned of up to $150 million in funding cuts. 73,500 homeless people live in New York City. That is enough people to fill Yankee Stadium. And that’s only part of the greater New York/New Jersey area which also relies on HUD funding for infrastructure, social services, and disaster recovery.